That you took the survey 10 times, and voted for an orange pine top, belt buckle tailpiece, leather binding and a G-Brand... every time. But, if we ever had a vote on a Knotty Pine Roundup, I'd vote for dark stain, unmatched knots(big ones), Angry Steer Head on the headstock, leave the rifle in the inlays and max it out at about 6 pounds. Ok, Planning to wrap up the survey pretty soon, so if you're interested, get your votes in soon! Depending on price, I am still in... but I need to watch the price closely, I just paid for a new living room suite! 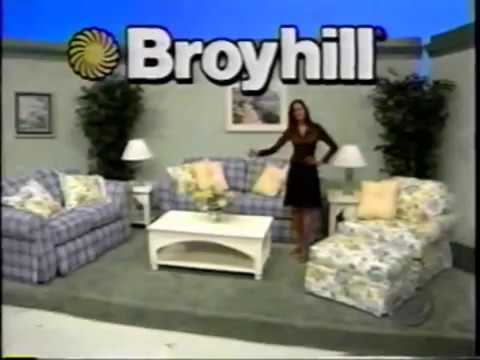 Or do you want what's behind the curtain where Carol Merrill is standing? Only if there's a 1975 AMC Pacer behind the curtain. Otherwise, I'm sticking with the living room suite. Is it scary that I actually know who Carol Merrill was/is? No, I'll take the furniture for 2800, Monty. It's being made as we speak and because my refund this tax year was about 2/3 of what we expected, there's most of it gone already..
Two complimentary occasional chairs (differing styles) in the same upholstery and a coffee table in dark walnut. Going to look nice, but I almost wish we'd waited until AFTER the taxes were done. Read that in Monty Hall's voice. The Monty Hall problem has become a serious mathematical counter-intuitive issue. Here's the definitive answer: It's better take take what's behind the curtain. White MOT like this!! Oh my stars on sunday! There was a strong preference for nickel hardware. Didn't see that coming. Sky blue eked out a narrow victory, but it was really close. Interestingly, I think the stacked rank voting made a difference here. Fairly strong preference for open-back tuners. I don't get that one at all. I can't see any advantage to them over modern lockers. Narrow win for humped block markers. All of this points to something that's not THAT far off the shelf, which should be good for keeping the price down. I'll get full specs over to Rocky soon, hopefully today, and see where we're at. What's plan Bigsby-wise? I didn't see a category on the survey. Is our spec a V-style B3 or traditional B3 base? Was there enough support for a wide handle? Easily changed-out by the buyer of course for our respective taste, but I was curious what the GDP spec will be. As far as I'm concerned, Ed, we specced a B3 with a DE handle and (hopefully) string-through. I have a soft-preference for a V-cutout but it's a pretty soft preference. Thanks for the clarification Bax! I like the V-style... but only with Filters and neos. My vintage aesthetic was set in stone years ago. Since this project will feature Dyna's I think the standard B3 with Duane (wide) handle will look awesome! Bax, is there a separate breakout of the choices of the Definite v. Probably v. Maybe peoples? Bax, I am not finding the Sky Blue Pearl on the Delmar Products catalogue page. Where is it? Bob, I'm not sure if I can dig into that level of granularity or not, at least without a paid account. Given the small sample size, I may extract it manually and see if it tweaks the overall results at all. I don't think it would, except maybe for color, which was very close. Even there, I expect blue would eke out a narrow lead, because again, I think the stacked ranking helped it. Ric, I'm honestly not sure if it's on there or not, but there have been several example of it on various sheets over the prior 11 pages. Maybe you can confirm the availability of each of the three candidate wrap colors with FMIC, and in the meantime try and get an idea of who would be committed to buying (at the proposed price and specs), then do a final vote of that group to confirm the color. Just a thought... the actual buyers should have more of a "say" then those just providing input from afar. That's pretty much my thinking, Ed. I think we've got pretty solid proposed specs now to take to Rocky. If something sounds problematic from either a sourcing or cost perspective, we may adjust, but I think we have a good target. From here, I think we get some idea of what we're looking at from Rocky. Bax, I believe that the Delmar Products catalogue is probably the best place to look for the finish because that is the most likely location where Gretsch would source the wrap. It doesn't make much sense to look at other finishes if those aren't really in the mix for the ultimate choice. Also, the finish is perhaps one of the most important determinatives in many people's ultimate decision about whether they are in or out on this project. I know that it is very likely for me to be. We know all three colors are available (at least to some extent) because we've seen recent examples of all three. I gave more weight to the Gretsch colors linked some pages back than the delmar, but they're pretty close overall anyway. I'm curious how the colors broke down in absolute first-place rankings: ie, how many picked each color as their first choice?